Andrés Manuel López Obrador, the president-elect of Mexico, recently announced that the fate of the new Mexico City airport designed by Foster + Partners will be decided by a public referendum to be held in October of this year. Mexican citizens will be able to decide in a vote whether or not the airport should be canceled. López Obrador, or AMLO as he is also known, led a fiery campaign for president. He trumpeted leftist and populists messages while attacking corruption that he said was endemic in the Mexican government. 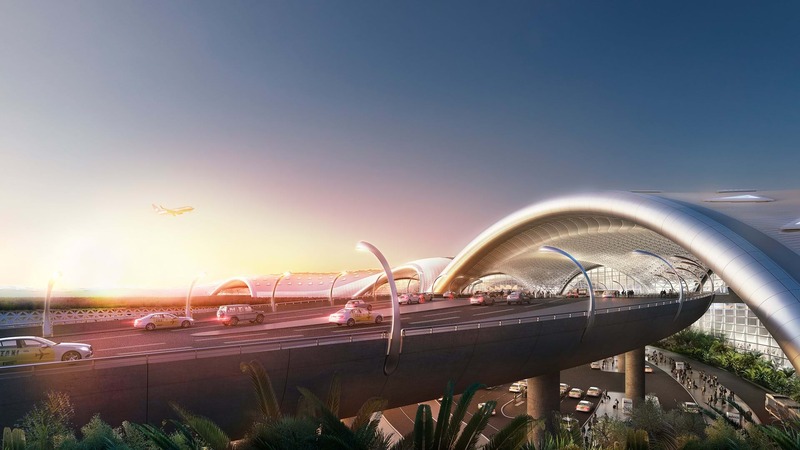 The New Mexico City International Airport (NAICM) was, he said, mismanaged and marked by excessive and wasteful spending, and he promised to shut down the project if elected. López Obrador has proposed that an existing military airbase be converted to civilian use instead of completing construction on the new airport. The vote is scheduled for the last week of October even though López Obrador will not formally take office until December 1 of this year. The project, which was won by Foster + Partners in 2014, is well under construction, and stopping it now would mean losing about US$5 billion already spent. The project is estimated to cost US$13 billion in total, and its first phase has been scheduled to open in 2020. Foster + Partners’ design features a massive undulating canopy with an exposed space frame underneath. In renderings, the roof surface allows dappled light to come through large open spans between large footings where the canopy touches down to the ground. Arup is the project’s structural engineer, Mexican firm fr-ee is the local collaborating architect, and Grupo de Diseno Urbano is the landscape architect. The airport is planned to handle 66 million passengers annually and cover an area of approximately eight million square feet.